This property enjoys a farmland location in the picturesque village of Berwick St John within the Cranbourne Chase Area of Natural Beauty and twenty miles west of the New Forest National Park with its miles of enjoyable walks bridle ways and cycling routes. For those who enjoy exploring local towns there are a number within easy reach of the property including the cathedral city of Salisbury the attractive town of Warminster and the fashionable arty town of Bruton all of which are within easy driving distance. Other places of interest in the area include Stonehenge Bournemouth and Longleat Safari Park. Four steps lead to the front door of this property beyond which guests will find the open-plan lounge/kitchen/diner with its inviting sofas which sit in front of the wood burner-effect electric fire and allow guests to relax while enjoying the TV/DVD and iPod dock. The kitchen area meanwhile offers an oven hob microwave fridge with freezer compartment and washing machine whilst a freezer and tumble dryer can be found in an external shared utility room. 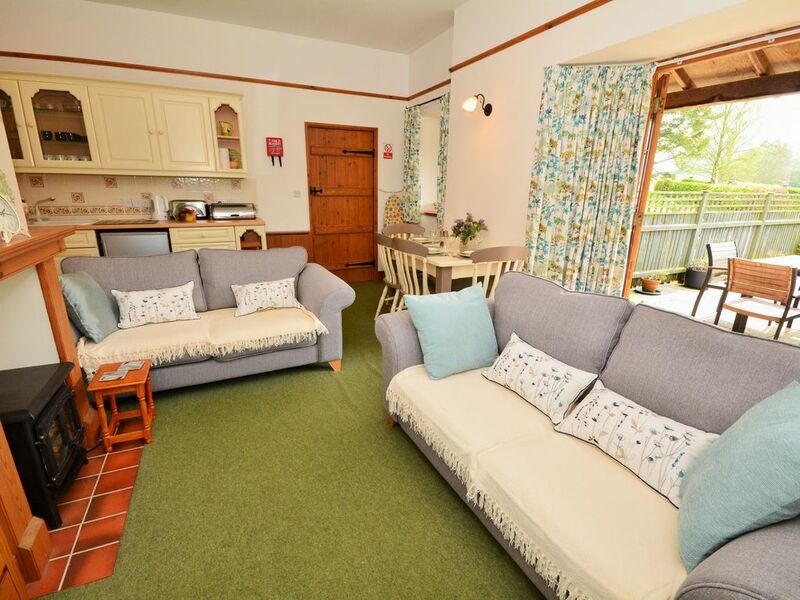 There are two bedrooms in the property both with co-ordinating pine furniture. The first of these is a double room whilst the second bedroom is a restful twin room. The bathroom has a shower-over-bath and WC. Outside accessed through the patio doors in the lounge area there is an enclosed patio garden with a table and chairs which makes a wonderful spot for enjoying alfresco drinks and meals. There is also a handy outdoor tap which can be used for rinsing off muddy boots or paws after one of those country walks. There is ample parking close to the property.